Olx & bookmyshow mutually agreed to give free movie ticket to olx app users through a simple campaign. 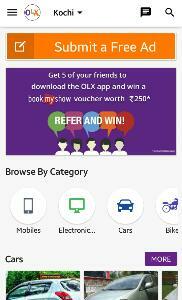 Just refer olx app to 5 members get this wonderfull offer. Get it now. Surf olx app now.